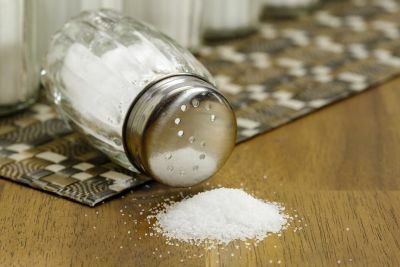 When it comes to salt consumption and your health, less is typically better, making you less likely to develop problems with your cholesterol, blood pressure, and digestive system issues. While you can’t completely eliminate salt from your diet—and shouldn’t (! ), as sodium is necessary for human life—you can take a few steps to help reduce it and improve your health. According to experts, you shouldn’t consume more than 2300 mg today. Sadly, 90% of Americans consume about 3400 mg of salt per day. Salt consumption is high for a number of reasons. Most people are unaware of the side effects of salt, and also have a high dependency on restaurant or “junk” foods. These foods are often loaded with salt and other unhealthy ingredients. Around 77% of salt comes from processed foods. These are foods that have been altered from their original state and typically contain added preservatives. They can be categorized as partially processed foods, or completely processed foods. 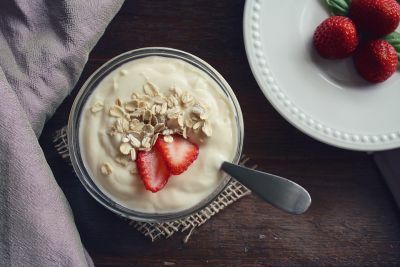 While partially processed foods still retain some of their natural nutrients, completely processed foods don’t. Almost all the nutrients are washed away during processing. Processed foods usually come in pre-made packages. These are often convenient and quick to prepare, usually needing only baking, frying, or microwaving. This convenience is by and large the reason for their overwhelming popularity. As Americans become busier, sales of packaged, processed foods soar. 98% of American families eat processed foods that exceed sodium guidelines, including staples such as bread, cheese, pasta, pizza, and more. While processed foods eliminate the hassle of cooking, the health disadvantages of these products present a new problem altogether. Packaged foods are high in salt, so in order to reduce your salt intake, you need to reduce your consumption of processed foods. To achieve this, you will likely need to do this gradually. Start with baby steps that can be implemented slowly. Firstly, cut off restaurant foods as much as you can. Reduce eating out to once a week or less, then stop eating out completely if possible. Another way to reduce your intake of salt from processed foods is to check food labels and pick products that are low in sodium. Because of the need to increase their shelf life, most dairies are high in sodium. One of the saltiest items is cheese, both regular and processed. There are around 11-12 varieties of processed cheese on the market today, as well as buttermilk and several types of cheese sauces. Cheese contains 673 mg per salt per 100 grams, while buttermilk contains 105 mg. These foods need to be excluded from the diet because they contain huge amounts of salt. While fresh veggies and fruits contain little to no sodium, processed veggies and fruits may be rich in salt. Tater tots: 420 mg per 86 grams. French fries (frozen), instant mashed potatoes and fresh potatoes. Desserts and sweets are not only rich in sugar but sodium as well. Presenting very few health benefits, it’s wise to avoid these items as they provide little nutritional value. Butter: 2235 mg per tbsp. Soup is a great option if you are trying to lose weight or improve your overall health. However, keep in mind that packaged soups are often extremely high in sodium. So why not start homesteading today and make your own broth, bouillon and a myriad of soups right at home, out of basic ingredients? Since we know that too much salt consumption can be dangerous, many companies are now preparing foods that have little to no added salt. These foods are labeled as low sodium foods. However, look carefully at food labels, as foods that have removed the salt often contain equally unhealthy substitutes to make up for lost flavor. Sodium Free Foods: These foods are either fresh foods or canned foods that have little to no sodium added to them. Canned fruits that are labelled sodium free contain as little as 5 mg of sodium per 1 serving. That’s equivalent to about 0.0002 mg tbsp. of salt. A serving of fresh fruit juices contain 3 mg of sodium per serving. Hence, you should select canned fruits that are labelled sodium free. While most varieties of fresh vegetables contain no sodium, processed vegetables might. Turn to canned veggies that are sodium free, or can your own vegetables each season. One serving of snap yellow beans, mushrooms, hot chili peppers, cauliflower and green bell peppers contains 4 mgs. of sodium each, significantly less than the alternative. The same rule of thumb applied to grains and legumes. Look for canned grains and legumes that are marketed as sodium free. Compare multiple canned and packaged foods and pick the product that contain the least amount of sodium per 100 grams. Remember, the less salt, the better. It’s common for salt shakers to be kept on the dinner table because we love to add salt to our favorite foods. This is where the problem is. Most of the foods we eat are processed and already contain a high amount of salt, even if we can’t taste it. Adding more salt just makes the situation worse. Moreover, uncooked salt is said to be even less healthy than cooked salt. 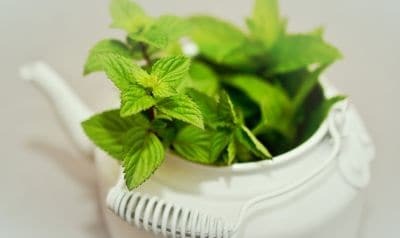 Taste: Mint has a very unique taste, providing the sensation of something cold due to its high levels of menthol. This refreshing herb can be used in a variety of savory dishes or desserts. Can Be Used In: Mint blends well with salads and pasta. You can also use it with carrots, peas or beans to enhance their taste. 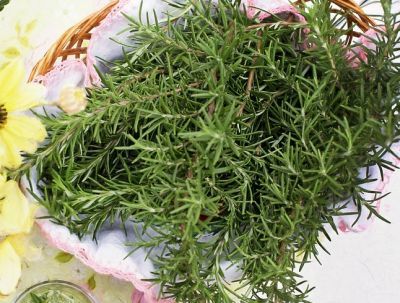 Taste: Rosemary is a powerful herb with a pine-like aroma. It can be used to enhance taste but must be used sparingly, as it can overpower other flavors. Can Be Used In: Grilled and roasted meats taste delicious with a dash of rosemary added to them. It can also be used on beans, potatoes, bread, homemade pizza, tomato sauce, and egg dishes. Taste: Nutmeg is a ground spice which is known for its rich, aromatic flavor. It is used in many dishes, typically along with cinnamon and cloves to give any dish a sweet, savory taste. It is often used in baked goods to enhance the sweetness and texture of the dish. Can Be Used In: When combined with black pepper, nutmeg is a fantastic addition to white or cheese sauces. It can also be used on cabbage dishes, potatoes, soups, and cheese sauces. Add black pepper along with nutmeg and mix it to make a sauce. Taste: Basil is an herb that belongs to the mint family. It has a sweet and peppery taste. Can Be Used In: Basil can be used in a plethora of foods, including sauces, sandwiches, pesto, marinades, salad dressings, soups, and more. It is traditionally used in Mediterranean cooking, especially in pizzas, Bolognese, and tomato-based pasta sauces. To enhance the taste of basil even more, mix it with some lemon juice or zest. Taste: Cardamom is a spice with a resinous aroma and sweet flavor. It is commonly used by Arabs and Indians in teas and coffees. 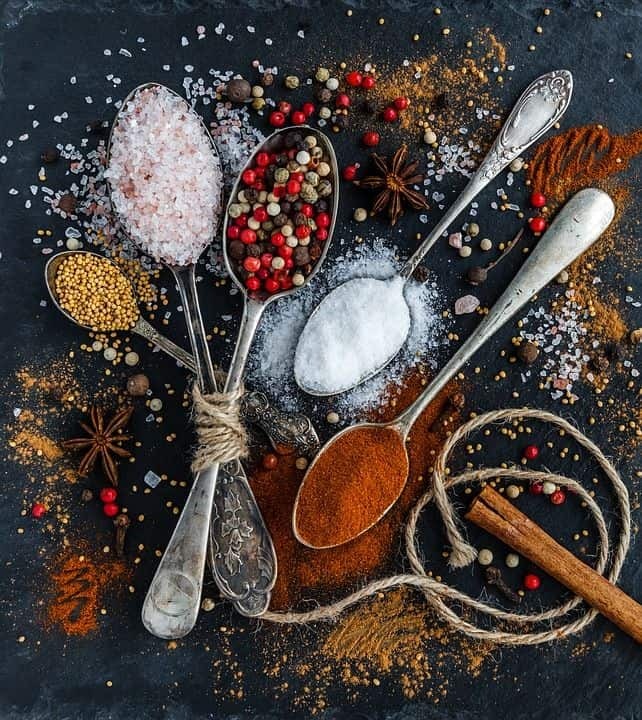 Can Be Used In: This spice has many uses, but is usually mixed with other spices to make a mixture called garam masala, which is widely used in Asian countries. Another Asian dish, known as curry, is now world-famous, thanks to its intense, cardamom-influenced flavor. You can also use it in baked foods and sweet breads. To make a perfect, Scandinavian-inspired combination, mix it with cloves and cinnamon. Taste: Chilies can be very spicy, so make sure to first taste it before adding it to any dish. A popular variety of chili powder is cayenne, which is easily found and has a very unique taste. Can Be Used In: Chilies blend well with almost anything, whether it is a sauce, seafood, or even vegetable soup. The combination of chili and mustard is a popular one when making cheese sauce. It only enhances the taste of a dish, but also reduces the overall amount of cheese required, saving you calories, sodium, and even cholesterol. It can also be used with other combinations such as coriander seeds, turmeric, and cumin. Taste: Cinnamon is a popular ingredient which is used in many sweet and savory dishes like cake and apple crumble. Can Be Used In: This spice comes from traditional Turkish and Middle Eastern cuisine and is actually the bark of a cinnamon tree. Cinnamon is mostly used to enhance the flavor when making chicken and lamb dishes. It can also improve the taste of casseroles, cottage pie, roast vegetables, curries, tagines, Bolognese sauce, and stewed fruits. 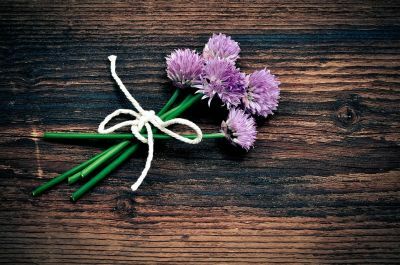 Taste: The taste of chives is similar to that of onions. However, strong heat can kill its flavor and texture, which is why it should be added to the dish at the very last minute. Can Be Used In: Chives are mostly used in salads, baked potatoes, mashed potatoes, casseroles, cream cheese (low fat), fish and poultry. Their flowers are edible as well. Taste: Coriander has two main parts, the leaves and the seeds. The leaves have a lemon-like and earthy flavor, while the seeds have a more spicy and citrus flavor, especially when they are crushed. 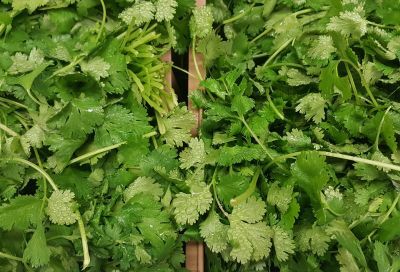 Can Be Used In: Coriander leaves can be added to decorate salads, in making coriander soup, salsas, curries, fish and chicken dishes. They can also be blended with fries along with chili and lime to enhance the taste. Taste: Dill is a green herb with a taste that is quite similar to fennel, star anise and celery. It comes in both dried and fresh forms. Can Be Used With: Sauces, yogurt, salads, potato salads, pickled items with vinegar, and seafood dishes. It’s mostly used in Scandinavian and Middle Eastern dishes. 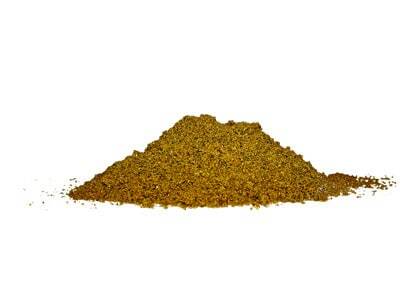 Taste: Cumin has a smoky taste and helps bring out multiple flavors within a dish. It is the second most-used spice around the globe, after black pepper. The reason for its extensive use is because it enhances the flavor of a dish thanks to the extra spiciness it gives to food without completely overwhelming it. Can Be Used In: It is commonly used with lamb, beans, beef, and rice. To give it a Mexican twist, blend it with chili and oregano. For a more Indian taste, mix it with cardamom, coriander and turmeric. Taste: Ginger, one of the few roots on this list, has a sharp scent and a unique peppery and sweet taste. This makes it a perfect ingredient to use in savory and sweet dishes. Ginger has a number of health benefits, among them the ability to improve the immune and digestive systems. Can Be Used In: It can be grated into dishes while they are being cooked or after they have already been prepared. Besides grating, it can also be sprinkled over dishes that require baking, but do it only once the dish has already been baked to help preserve its flavor. Ginger also works well with salad dressings and stewed fruits. Taste: Oregano has a strong, potent scent and a taste that’s slightly bitter. It is one of the most commonly grown herbs in backyard herb gardens, as it is easy to cultivate and produces a tremendous yield. Can Be Used In: Oregano is commonly used in Mediterranean and Italian dishes. 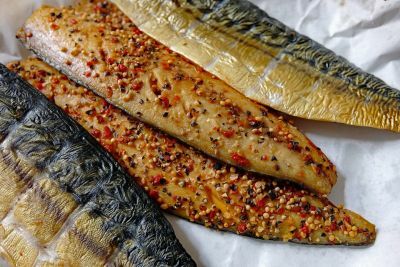 It is used to marinate seafood, poultry and meats before they are grilled. You can also use it in casseroles, spaghetti, egg dishes, breads and salads. For many cooks, it is considered a staple in pasta sauces and pizza. Taste: Paprika is quite similar to cayenne pepper but has a milder and sweeter taste. It is turned into red powder that’s made from dried peppers and ground sweet. In addition to adding intense flavor to your dishes, it also adds a unique pop of color. Can Be Used In: Paprika is commonly used in Hungarian dishes, and is usually combined with cinnamon, caraway, coriander and dill. To give a dish a Spanish taste, use it with garlic. It goes well with baked dishes, meats and poultry as well. Taste: Parsley has a bitter taste that some people—typically those that dislike cilantro—find repellant. However, for those that adore parsley, it has a variety of culinary uses and is also a nutritional powerhouse. It will grow on you in no time! Parsley doesn’t overpower other ingredients in a dish and is mostly used to dress and garnish dishes. Can Be Used In: Grilled and barbecued foods taste delicious when mixed with parsley. Grilled steak, omelets, marinades, dressings, sauces fish, chicken, roast lamb, stuffing, soft cheeses, vegetables, potato dishes, and soups can be enhanced with the use of parsley. Taste: Sage tastes a bit like rosemary but has a stronger, lemony flavor. The taste can be overpowering which is why it must be used sparingly and is most effective in its fresh state. Can Be Used In: Sage is common in French and Italian foods, as it helps to bring out the flavors of meats, poultry, and pasta. It can also be chopped and mixed into dishes like gnocchi. Taste: Tarragon smells quite like star anise but the taste is a mix of bitter and sweet. The combination is a rare and powerful one, which is why it gives a unique taste to foods. However, the flavor is very strong so make sure to add it after cooking so that it does not end up overpowering other flavors. Can Be Used In: Tarragon is a traditional herb which is widely used by the French. It has the capability to enhance the flavor of egg dishes, poultry, fish, beef, and vegetable soups. Salads can also be garnished and decorated with it. Taste: Thyme has a minty flavor and comes in many varieties. It has a potent scent that can make food smell and taste delicious. Another variety of thyme is known as lemon thyme, which, as the name implies, has a more distinct lemony flavor. It blends well with vegetable dishes and soups. However, it needs to be cooked for long durations for it to fully release its flavor. Can Be Used In: You can add whole sprigs of thyme to dishes and then cook slowly for the flavor to blend in completely. You can also combine thyme with sage, savory, rosemary, parsley and oregano to get a rich, complex taste. Taste: Vinegar has a sour taste that some crave, but do not make the mistake of adding it while cooking. Instead, use it as an ingredient with a sauce. Can Be Used In: You can enjoy many different dishes with vinegar. Just dip your food, whether you choose to eat French fries, cut vegetables, or breads, in vinegar and enjoy. Because of its strong, distinctive taste, vinegar can be a great substitute to salt. Taste: It has a bitter and pungent flavor and is often used in place of saffron to give a dish a bright yellow color. Turmeric offers a variety of health benefits, including the ability to promote weight loss and proper digestive functioning, as well as proper immune system function. Can Be Used In: Turmeric is best used with ginger to enhance the taste of meat, rice, and vegetable dishes. You must use this spice sparingly or else it can produce extensive amounts of yellow coloring and a strong, overpowering taste. Salt isn’t all bad, which is why you need to make sure your diet does contain some quantities of sodium. Salt, which is absolutely necessary for human functioning, offers a variety of health benefits, which are explained in detail below. Our bodies can’t produce iodine, but we need it to avoid the development of dangerous conditions like goiter and hypothyroidism. Iodized salt not only provides us with iodine, it also helps maintain the thyroid hormone. When a person suffers from iodine deficiency, the thyroid gland tends to enlarge to meet the body’s demand for thyroid hormone. This can be fought by providing the body with iodine in the form of salt. Pregnant women also require iodine, as it helps develop the brain and bone structure in babies that are yet to be born. Salt intake can help control body’s hydration level, which is important to keep diseases at bay. Moreover, it also helps maintain a good balance of electrolytes in the body to ensure that all organs work properly. This is why, if you tend to sweat a lot or are an endurance athlete (such as a marathon runner), it is important to maintain your sodium levels as well as your hydration levels. A low blood pressure can make you feel tired and sleepy. Doctors recommend the consumption of salt solutions or even just ingesting a small amount of salt to push the blood pressure up if it reaches a level of 90/60 or lower. However, you must remember that too much salt can trigger high blood pressure so make sure to avoid salt if you have high blood pressure. Low blood pressure is far less common than high blood pressure, so you should only begin increasing your salt intake if you have consulting with a medical professional and he or she has deemed this medically necessary. Low amounts of salt in the body make it difficult to metabolize glucose, as the body becomes more insulin resistant. This reduces the amount of energy that is transferred to the liver, putting our body at risk of type II diabetes. Patients are often instructed to take saline IV solutions consisting of a mixture of water and salt to help fight certain illnesses such as acute diarrhea. Salt can actually allow the body to heal itself and fight certain diseases in a more effective, natural way. With the benefits of sodium clearly stated, it’s also important to know how increased salt consumption can damage your health. Salt may have its benefits, but it also has serious risks. The main role of your kidneys is to get rid of the excess sodium in your body. The more sodium you consume, the more pressure it puts on your kidneys. This can then cause high blood pressure, especially if not all the sodium is excreted out of the body. High blood pressure is a serious issue that can give rise to other serious problems, including organ failure, heart attack, and even death. Consistently high blood pressure is a serious issue that should not be ignored. 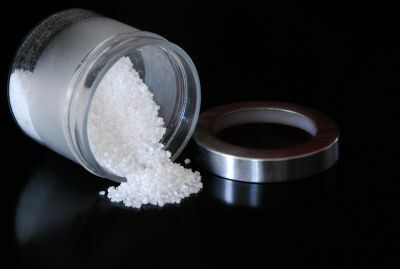 Sodium is attracted to water and excess calcium in the body, which allows the body to retain more water than necessary. This can result in many health problems such as inflammation around the feet, hands and ankles, and long-term weight gain. There are more potent diseases associated with fluid retention such as kidney disease or failure, gout, heart failure, arthritis and lung disease. If a person is already suffering from one of these health problems, then it is important for him or her to cut off salt consumption to avoid making the situation worse. We have already covered the uses of salt, but do you know that not having enough salt can cause heart issues and, in some cases, even death? Low sodium diets can cause the heart to not work properly, resulting in heart failure and eventual death. Moreover, a low sodium diet can increase cholesterol and triglycerides in the body. It can also lead to hyponatremia. Salt can be dangerous as well as beneficial. For a healthy person, it is okay to consume the recommended amount of salt but for a person who suffers from any disease such as high BP, heart problems etc, a special low salt diet should be considered, but only one that has been approved by an expert. If you think you may need to cut back on your salt intake, consult with your doctor about the best low-sodium diet for you. And remember—one of the easiest ways to cut back on sodium intake is to limit your overall consumption of processed foods and added salt. Doing so can not only improve your salt-related health problems, but your overall health and well-being as well. Push the salt shaker away, grab some delicious herbs, and get back on the track to a healthier life.